Gruen Planet broadens the land-space of The Gruen Transfer (2008) by looking at the ways in which governments and corporations use spin, branding and image control to get their messages across. The journey of a food intolerant, and an intolerable foodie. Based on the making of a fictitious Australian CURRENT AFFAIRS show, Frontline blends invented events with REAL LIFE events. A true reflection of THE TIMES we live in. (Review updated after 2018 season). 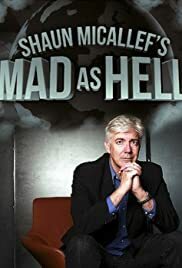 If you know Shaun Micallef's previous work - The Micallef Program/Programme/Pogram, Newstopia plus his work on Full Frontal - you'll know what to expect. Clever dialogue-driven comedy, where every word matters and the joke often hinges on a single word. Throw in some Pythonesque left-field randomness and there you have his modus operandi. Now put that in a fake newscast environment (a la The Colbert Report) and any item of news is a source for comedy. Very intelligent comedy...with a touch of the absurd throw in. 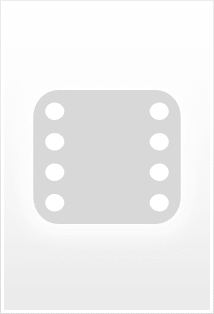 This was, until about 2016/17. At a point Micallef either got reminded by ABC senior management that the ABC is in the Liberal-bashing business or he himself decided to pander to the average ABC viewer. From then on, instead of being clever, politically-neutral satire the show became clearly left-wing and the originality went out of it, being reduced to empty, tiresome, predictable jibes. I got through 10 minutes of the 2018 season before giving up. 9/10 for the first 5-6 seasons, 3/10 thereafter.